Gray is the hot new choice for wall color these days and after just giving my kitchen, living room and dining room walls a fresh coat of Repose Gray, I can see why! This color is a true gray color and was the perfect choice for us! And the icing on the cake? 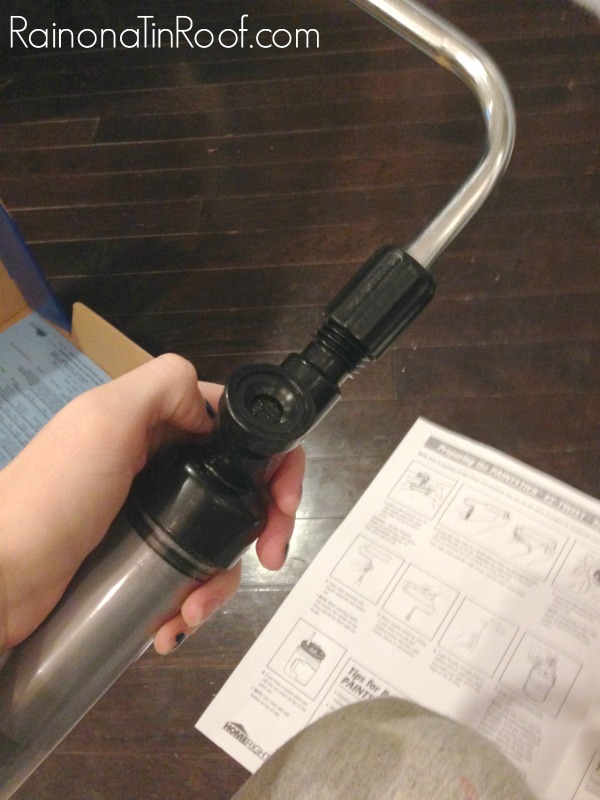 I used a cool, new tool for painting my walls and it made the job so much easier! Not with my hair yet, though. Because when the kid tries my patience, its like I can just feel the color fading from my hair, as well as my sanity quickly disappearing. But right now, just my walls are gray, repose gray to be exact. Things do change quickly around here though, so here’s hoping there are no gray hairs in my near future. Disclosure: This post is sponsored by HomeRight. Y’all know how I roll though, all opinions are 100% mine. This post contains affiliate links for your shopping convenience. Click here to read my full disclosure policy. 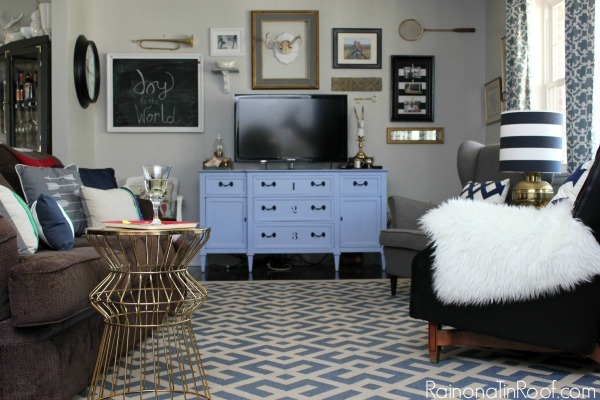 Sherwin Williams Repose Gray Paint – while this is a Sherwin Williams color, we actually had it mixed in Behr paint at Home Depot. They can mix colors of just about any paint brand, just tell ’em the name and brand! 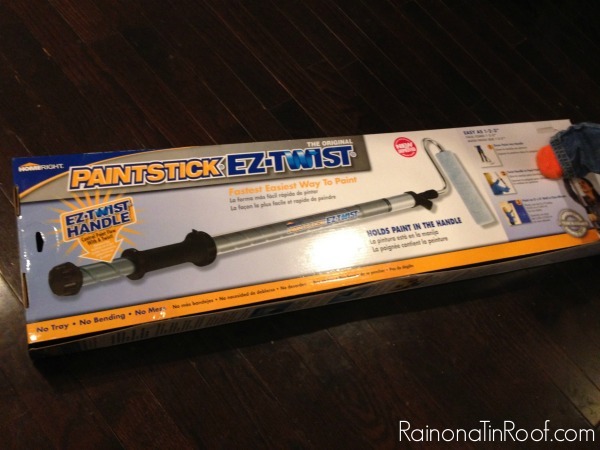 HomeRight PaintStick EZ-Twist – makes painting a breeze! QuickPainter for edging around trim and the ceiling. Ever since we moved into our rancher and made a mad rush to finish the renovation in two months, I was never really 100% happy with our previous wall color. No doubt, it was my fault – the mad rush took over and I lost all sight of actually taking my time on selecting colors. The same happened in my bathroom, the nursery, the guest room, and our bedroom. And that’s pretty much every room in our house. And that’s a lot of re-painting. Its no big surprise that it took me two years to even begin thinking about re-painting our main living space. 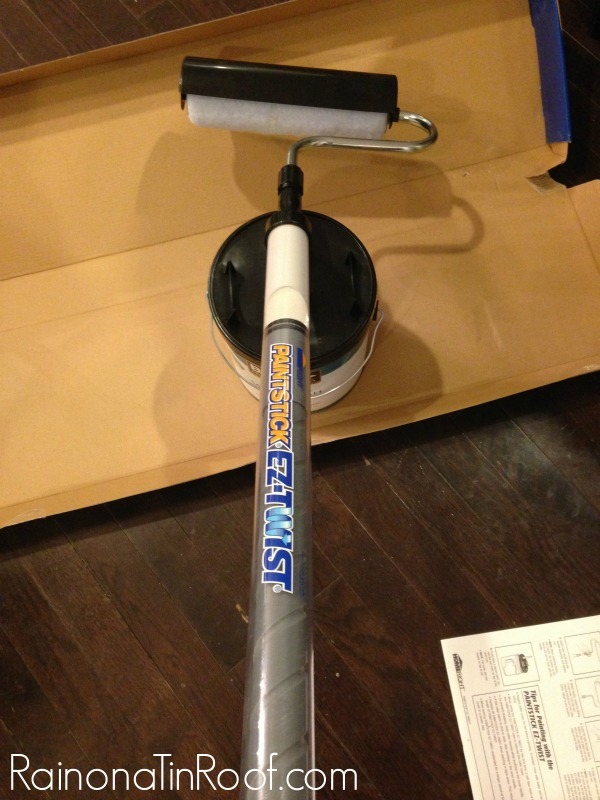 Enter the HomeRight PaintStick EZ-Twist. Y’all I painted our entire main living area (that includes the kitchen, living room, dining room, entryway, and hallway) in about four hours with this bad boy. 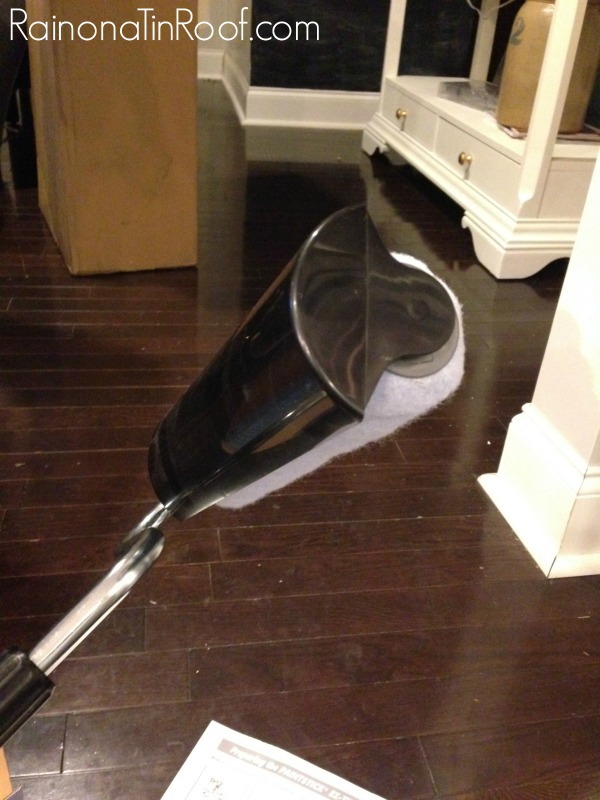 It comes with a big paint stick (as if its name didn’t already allude to that), a roller, a roller cover, and a suction tube and cover for your paint can. Attach the roller to the stick. Attach the roller cover to the roller. 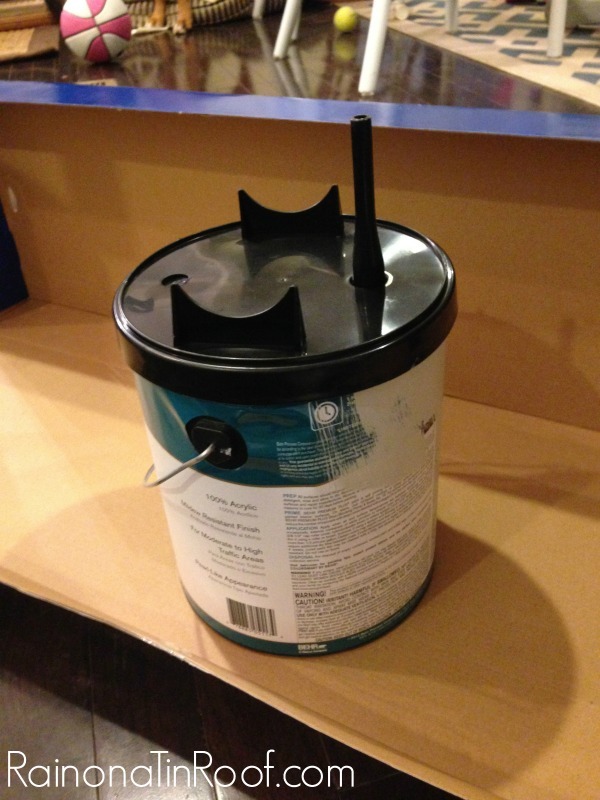 Place the suction tube and cover over your gallon of paint. 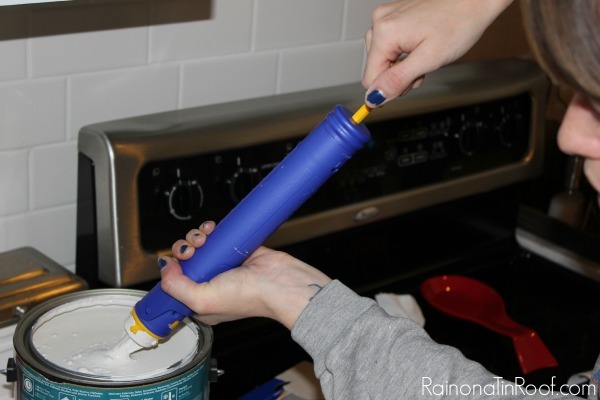 Put your PaintStick EZ-Twist onto the suction tube and pull the paint into the handle of the tube by pulling back on the inner tube. 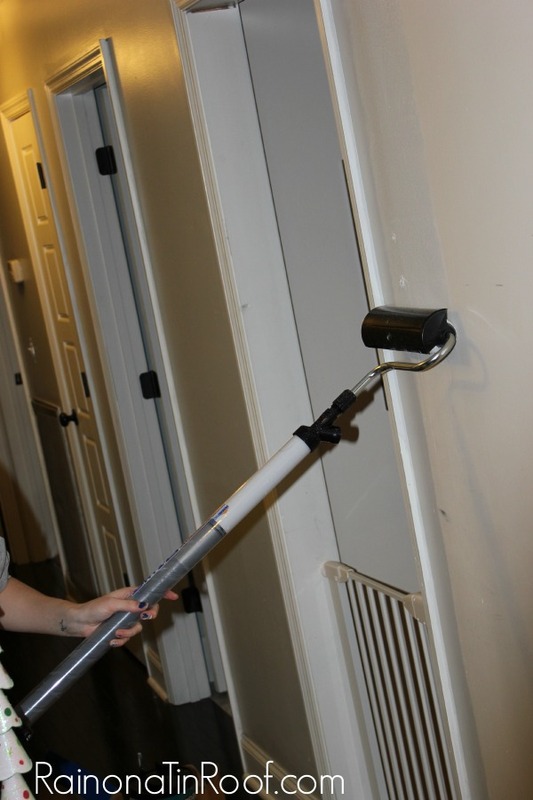 Take the EZ Twist to your walls, twist on the end of it to make the paint come up into the roller cover and start rolling your paint on the walls! There is no running back and forth to your paint tray hundreds of times. 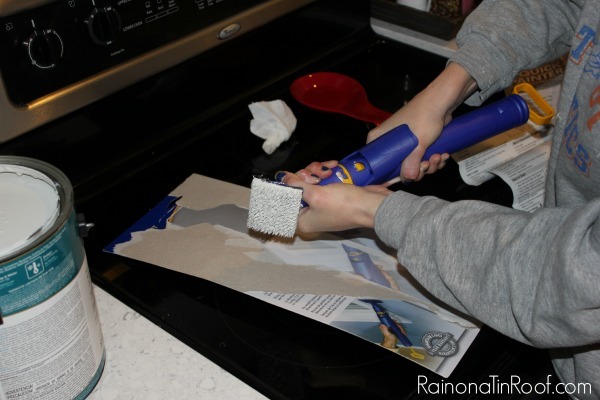 There is no messy tray to trip over and track paint all over your floors. Yes. That has happened to me before. When your roller needs more paint, you simply twist the handle and keep rolling. When you have finally ran out of paint in the handle, just go fill it back up. To edge around all the trim in the areas we painted, I used the HomeRight Quick Painter. Suction the paint right into the handle of the Quick Painter. Place the paint pad on the handle, squeeze the trigger and paint the town, I mean edges. The Repose Gray in all its glory? 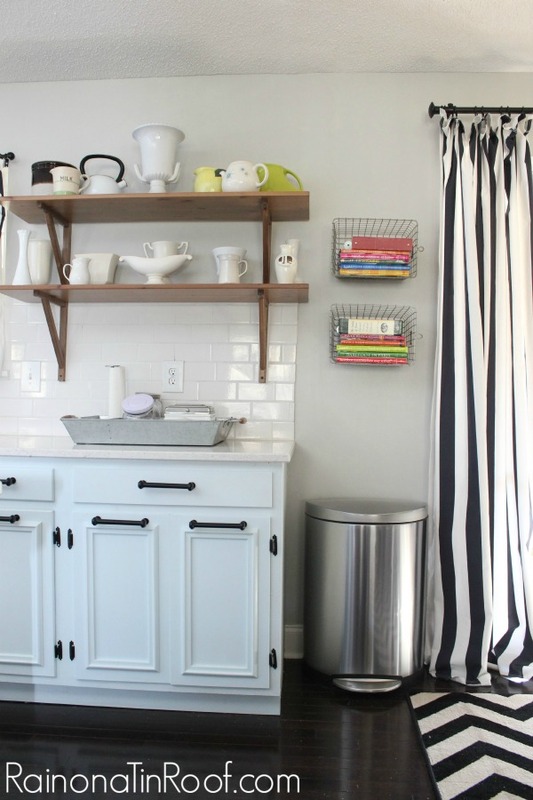 I especially love how the gray made the subway tile pop a bit more in the kitchen. You can see the boring beige walls of yesterday here. They weren’t terrible, they just weren’t that pretty. And we all know I like pretty things. That make my life so much easier. 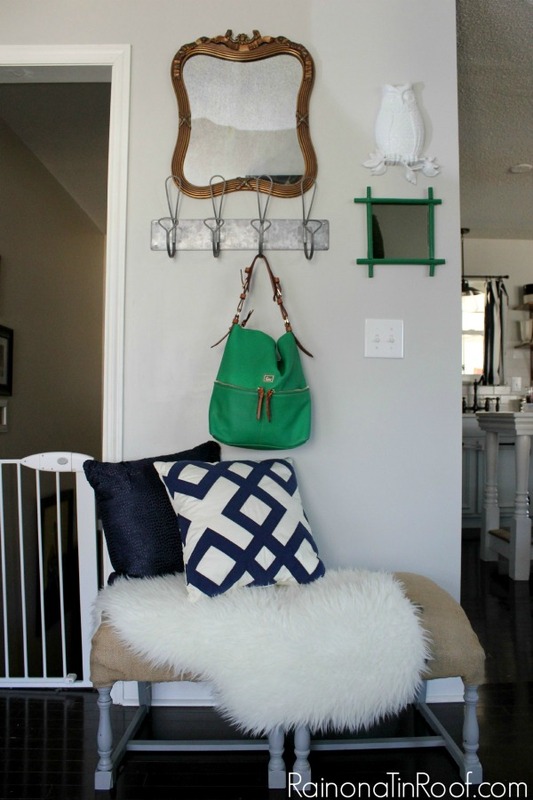 I have 2 rooms that need painting and 2 stairways, so I need this! I am starting to pick out colors now for our living room, hallway, etc. This would come in handy when we start painting! What perfect timing for this giveaway! Love the paint stick, I could use this. I would paint the living room. Thanks! These are just the tools I need for my Master Bathroom. I’ve got to get rid of the green! Thanks for the tutorial and the tips! Ooh pick me!! We are going to have lots of walls to paint very soon. The first thing I would paint would be our master bedroom! Love the gray! I have a couple different shades in rooms around my house, it’s so versatile I love knowing I can change the accent colors down the road. But it’s not beige and boring. The paint stick would be awesome to try! 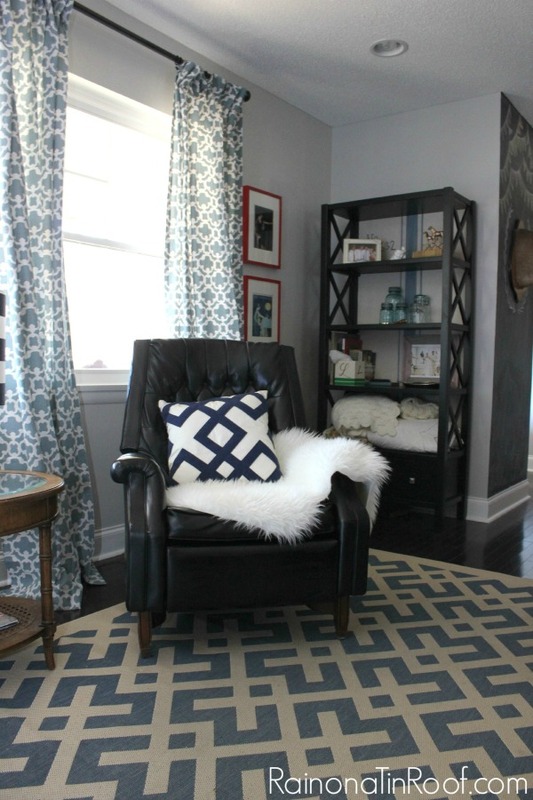 I have a couple different shades of gray in my house too, Sarah and I’m the same way – love how versatile it is! I know, right, Kristin?! I saw on Instagram where you were painting too! Great minds think alike! haha! Pink? Oh my. I bet that was interesting! haha! Can’t wait to see your freshly painted spaces! I love the new color! It does look better than the beige of before! 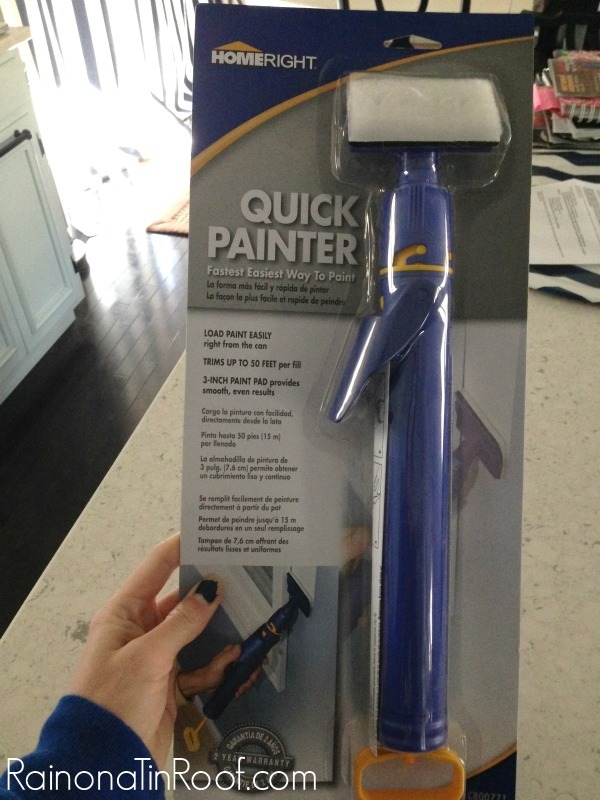 I needed this tool 1 1/2 years ago…although I’m not done painting so could definitely put this baby to the test! Yes! I’d love to win it! Such a lovely color! It looks clean and fresh, very nice! Thanks, Abby! It definitely freshened things up in here! I am in the process of painting my bedroom now…this would be a great help to finish it and start on the other rooms!! WOW! That is totes amazing!! What a product! I would kill for one of those.. sadly they won’t be in Dubai for a long time! I love the colour, good job Jenna! We built a house two years ago and I’m tired of the flat paint the builder used. I could live with the creamy colored walls. I quite like them, in fact. But you can not ever clean anything from them. They have to be touched up constantly. I’m ready for a subtle gray myself. I know what you mean! We had those same builder grade flat sheen walls at our last house and they always got stains on them! Hated it! I hate the color in my basement so it would be first! The WHOLE house! We’re on the lookout now, and may finally be making an offer soon. Yay! Love that color! Very serene. I don’t see the giveaway though? Perhaps I missed it or I am blind. Anyway, love your blog Jenna and would love that paint stick. Did anyone ever tell you you look just like Hillary Swank? Thanks, Amy! The giveaway is showing up for others – maybe trying opening the page in another browser – I know it typically won’t show up on a phone either…. And yep, I’ve gotten the Hillary Swank comment a few times! Thanks! Oh, my…better question is what wouldn’t I paint?? 😉 The first thing I believe I would paint it the hallway leading to my apartment and then go from there…I’ve never seen one of these…what a clever tool! Enjoy your blog and really happy to know this EZStick exists! Thanks! Thanks, Rebekah! I love hearing people say they enjoy my blog! And yes, this PaintStick EZ-Twist is AMAZING! Chris – you just totally confused me! hahahaha! Thanks! This sounds like the answer to my prayers. I have so many rooms that still need to be painted and I would use it in ALL of them! P.S. Love the new color! Most of my rooms need painting I think I’d do my bedroom first. That’s the room that never gets attention, .TLC, and needs it d e s p e r a t e l y.
I would love this tool! I hate to paint but always find myself painting…taking forever! We’re doing a major remodel on our 1897 farmhouse, and the Paint Stick would be a HUGE time saver! Your new paint color looks amazing!! Thanks, Sandi! Good luck on the re-model – I’ve done that on a 1920s house and it was worth it, but exhausting! It will be beautiful in the end! The entire house! Starting with my bedroom! master bedroom – it is currently builder beige – to include the ceilings! Your walls look gorgeous in gray!! It makes all your decor pop! Thanks, Selene! I’m loving the gray! I’ve been contemplating painting my entire open apartment for months, with it’s 9 foot ceilings! This would definately make it a no brainer! 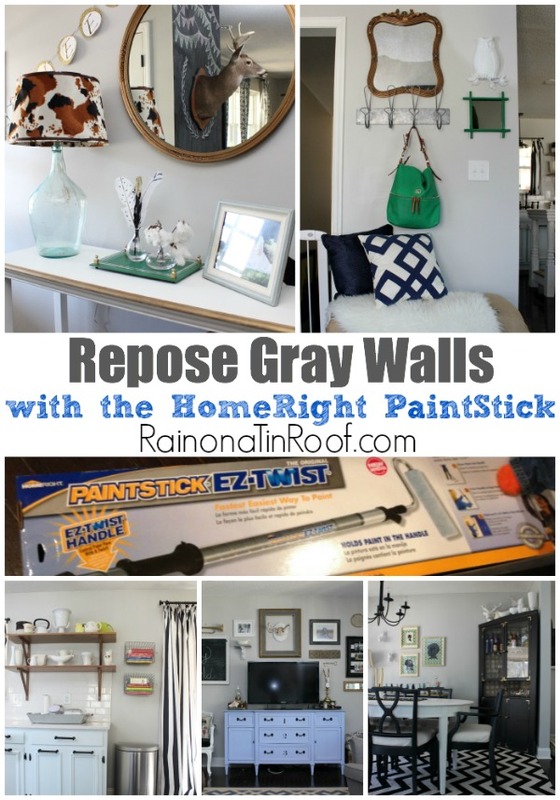 And the Repose Gray that you used just confirmed what I was thinking, it’s a great color, made even better with the Homeright painting system…..Can’t wait to try it! 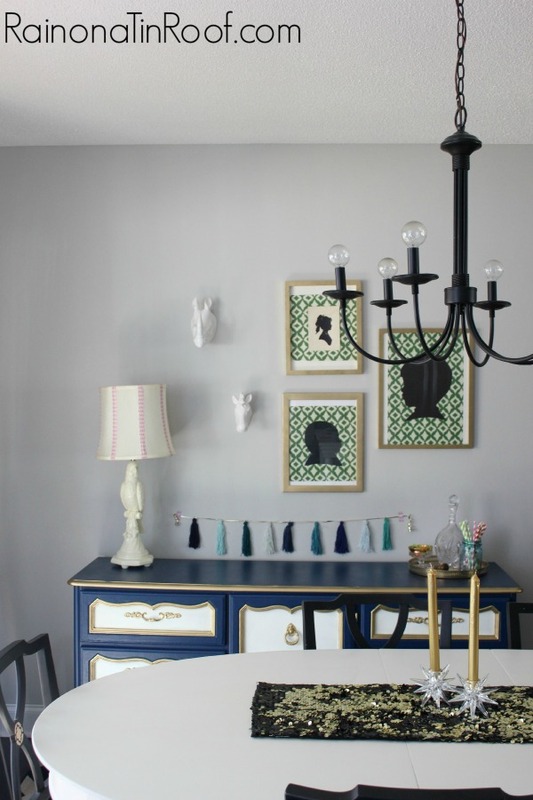 I used Repose Grey in my dining room and I love it! Can’t wait to try that painting system! Isn’t it a great color, Joan?! I love it! And the PaintStick is amazing! I love this! Great Job!! I have a kitchen/dining/living area I need to paint but I cannot decide what color! Thanks for posting this!! Thanks, Peggy! 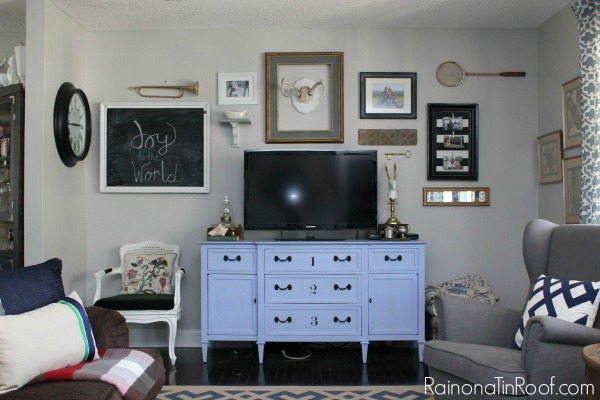 I LOVE this color – its the perfect gray – not too dark, not too light! haha!! I never go by those rules – I also usually end up paying for it in the end, though! I have been putting away painting the family room ceiling as it could be pain in the neck. With this it seems much easier. Love the light gray. 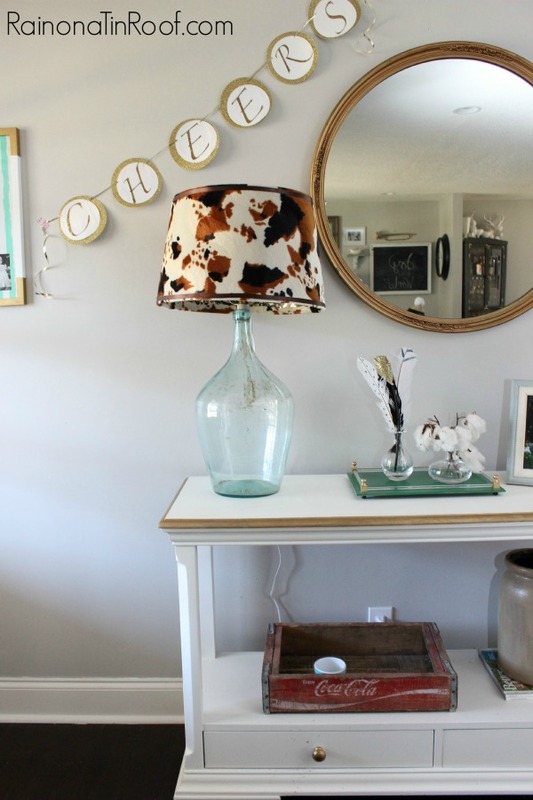 I’ve been wanting to paint over the difficult-to-clean flat paint that is in my living room and hallways. The Homeright system looks like a no-brainer. Thanks for the giveaway. 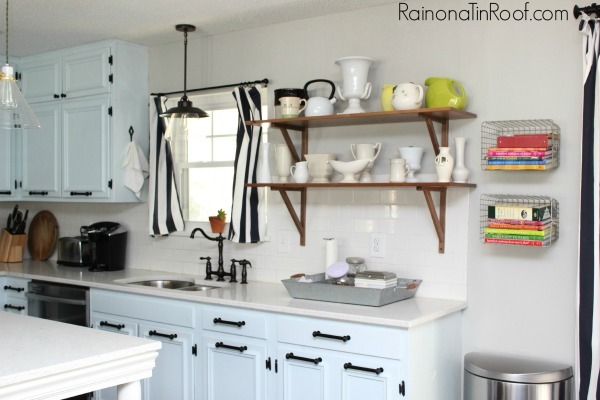 I would repaint my kitchen – I have color choosing paralysis and then finally chose a color I now hate! I have been Painting for Months..All tones of Grey…Every room in My House…I needed a break But with this I could Finally Finish! Whew.. I have used Autoright products before and Yes they work well and stand up to the best in my books! Im big fan and would love to try this! 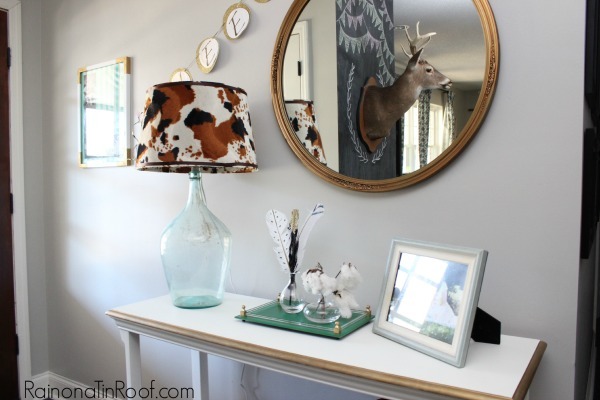 I want to paint our master bedroom – and I have to tell you I LOVE that paint color you used! I probably would have shied away from using “gray” on the walls – but seeing it “in action” makes me see it is a delightful look! Gray is awesome, Debra! I was a litte iffy about it at first, but once it was in my bathroom, I fell in love with gray! Love the gray! I would do some accent wall painting! Gorgeous! 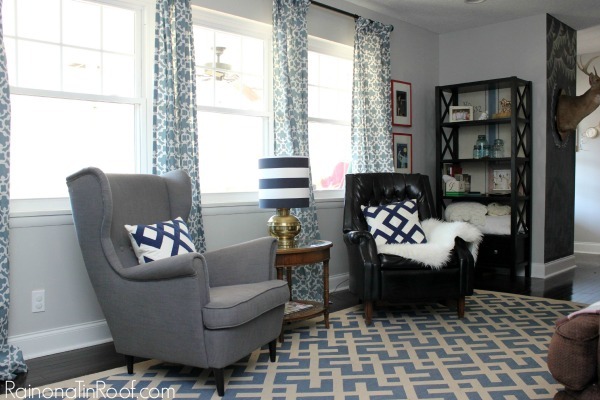 I think this grey really pulls all of your rooms together! 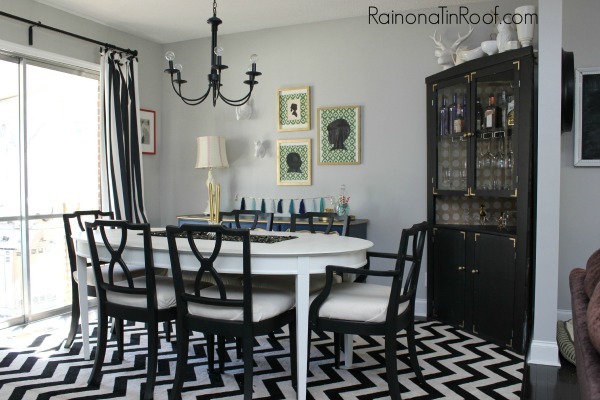 Your dining room looks stunning now! We got the majority of our first floor painted at the end of last year, so now? It’s onto the 2nd floor! I’ve got a master bedroom that could use a nice, fresh coat! This would be so useful as i want to paint about 4 rooms. Thanks for the chance to win! I would paint almost everything in our house! We just moved in 2 months ago and some rooms are in desperate need of paint but I really hate painting because we don’t have the right equipment. This would be perfect!!!!! love all of it….the ease, the colors, the everything!!!!! What don’t I need to paint – my bedroom room, master bath and office. All the other rooms need some new paint on the walls. My ugly eggplant colored library room. I would paint the walls in my garage. Been putting that off forever! I do the same thing, Heather, but in the end if you like it, its always in style!! I love Revere Pewter! I love the color so much! You definitely made the right decision! And your house is absolutely gorgeous! Oh, thanks so much, Ashley! my whole house needs painting and im thinking about doing a very similar grey color to the repose or white in all the rooms i need these tools! We just bought a new house, so I would pretty much paint EVERYTHING! The grey is the perfect neutral for your space. All your painted furniture really pops against it. 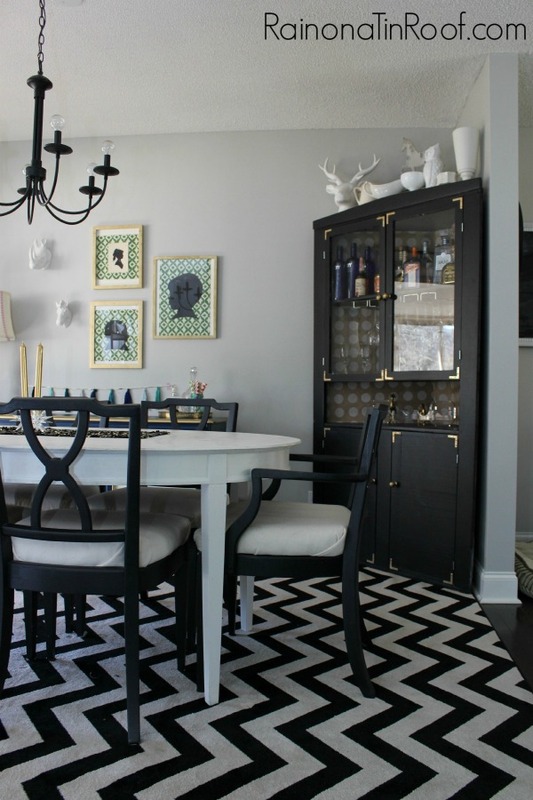 I saw that AMAZING navy and gold buffet of yours on G+ earlier and I just clicked your link at Twirl and Take a Bow. I absolutely LOVE your style and will be following you. Oh, Jen, thanks so much! It is fabulous to have you following along! YAY! 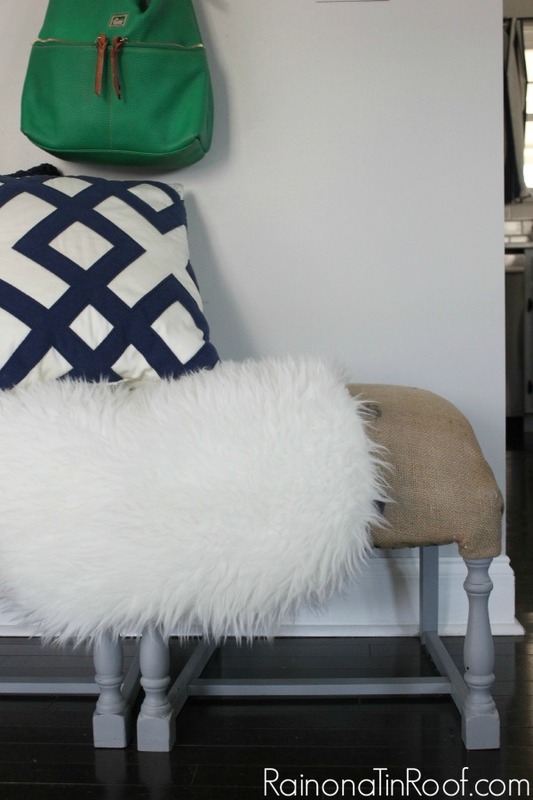 Yes – I love how the gray just makes everything pop! I LOVE the grey color you chose! So crisp and clean! I know what you mean about your kids giving you more grey hair–I haven’t gone grey yet but I know that day is coming! Thank you so much for sharing this at Frugal Crafty Home Blog Hop. I hope to see you back on Sunday night! I am going gray this year – just painted my poweder room Crushed Ice by Sherwin Williams – my first gray room in the house. I really like how calm the room feels. Isn’t gray just great??? I don’t think I have seen much Crushed Ice before – I’ll have to check it out! What color did you use on ceilings? We are using repose gray in our new house but I’m having trouble deciding on a ceiling color. Thanks! Did I miss it or did you say somewhere who makes this color of paint? I love it. Hey Dorothy! I’m not sure if I mentioned it or not. 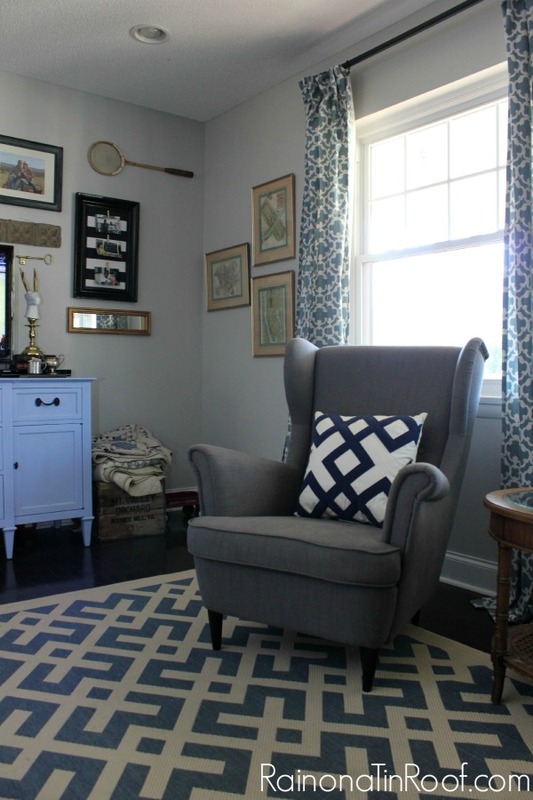 Its Repose Gray by Sherwin Williams, however I had it mixed in Behr paint at Home Depot. All you have to do is tell them the color and brand they will find the formula!